The good folks over at Adafruit were thinking about what value can be culled from the internet “without a browser interface, or even a computer screen for that matter?” The result of this line of questioning led them to produce their IoT Printer Kit. 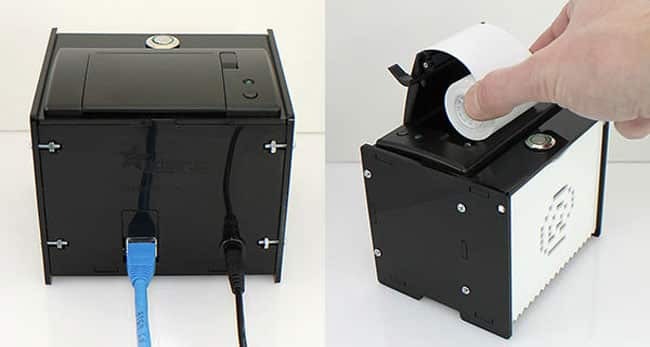 Based on a thermal printer (also known as receipt printers) the $89 kit doesn’t requre any ink refills and works by selectively heating up parts of thermochromic paper. This is the same technology you see when stopping by for some cash at the ATM machine, or when getting a receipt from the local gas station. So what exactly do you print with this thing? Out of the box an example sketch is provided that will connect to Twitter’s search API to retrieve and print tweets according to your requests, others have used it to print the weather forecast, or their local air quality conditions but with more and more connected devices and Web Api’s opening up it really is up to your imagination. Once you decide on the content you can use the IoT Assistant or Ames Bielenberg’s Receipt Markup Language (Available on GitHub) to have it spit out your own creations with some custom formatting. 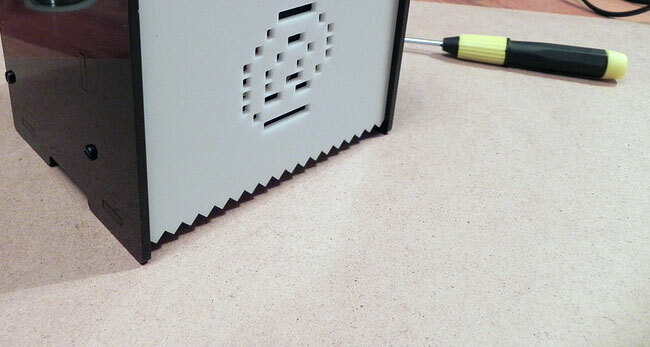 The project does require you to do some light soldering work to get it functioning, and uses either an Arduino + Ethernet Shield or an Arduino UNO Ethernet to get online and bring in your data feeds to the printer. To see a complete kit of parts and a better idea of what you are getting yourself into, a complete write-up and tutorial can be found by visiting: learn.adafruit.com/internet-of-things-printer or or you can buy the kit directly here.